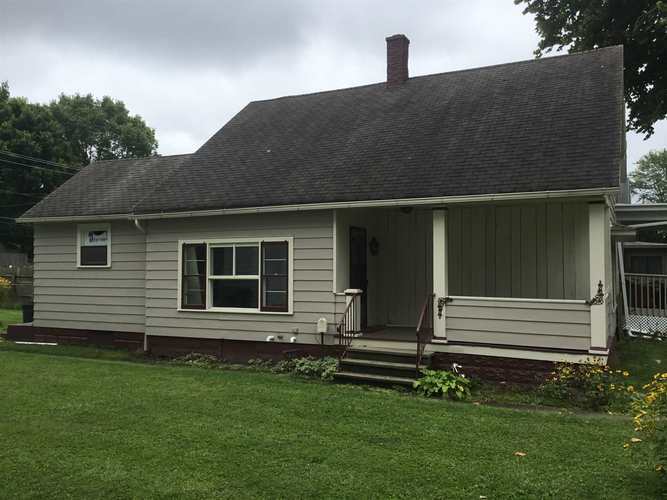 This house is a completely remodeled, 3 bedroom, 1 bath. New Furnace / and central air White cabinets in the kitchen and bathroom along with with new dark grey vinyl plank flooring. Newly painted walls, doors and trim. New counter tops, fixtures and hardware. The bathroom has a new tub vanity and toilet. New carpet and ceiling fans have been added to the upstairs along with new painted shelves and window frames. Buy with confidence, this home comes with a 14 month home warranty. Directions:From State st, head south on St Joseph Blvd. home is on the left.